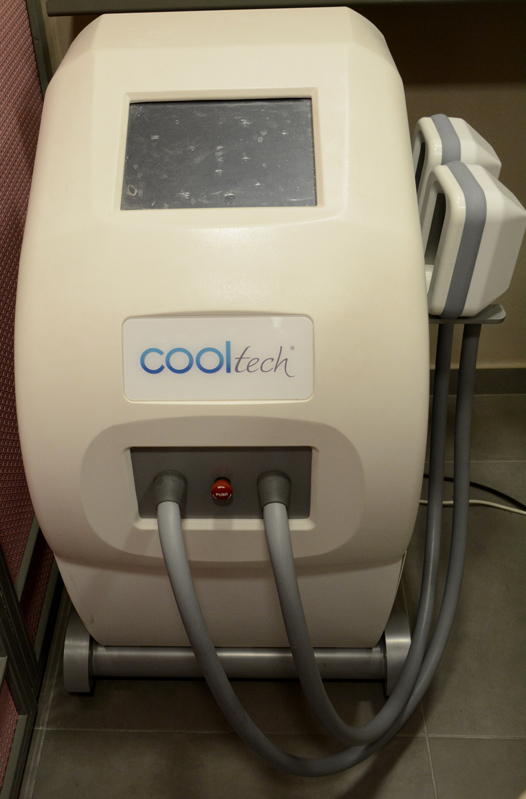 Cryolipolysis bases its technology on fat cells’ sensitivity in cold temperatures in contrast to other body cells. When the localized fat of the problematic area (abdomen, back, thighs, saddlebags) is exposed to the cooling device, the fat cells die off. The treatment results in the destruction of fat depots and their removal via organism’s metabolic process, quickly and almost painlessly. The duration of the procedure is nearly 1 hour. It can be also repeated in 1,5 month if we require furthermore improvement, although the result is noticeable from the first session.